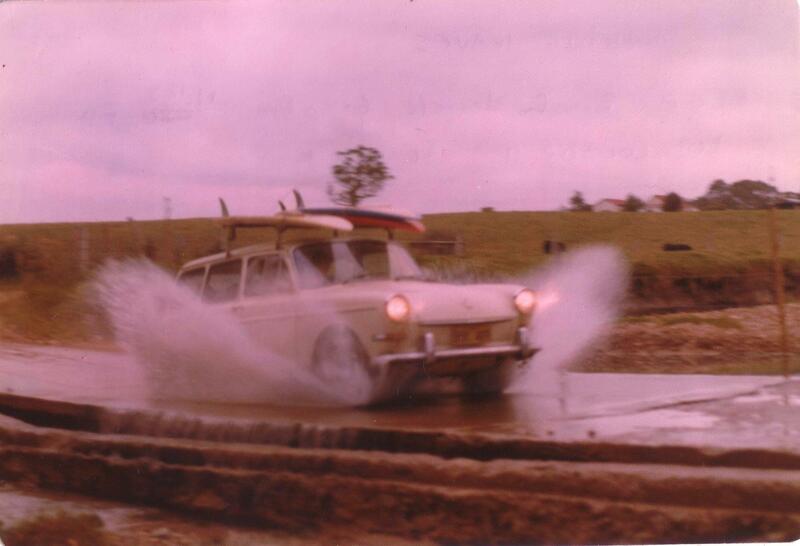 On Surfari around southern NSW near Bega 1977 getting close to susnset, we went through this water way and then went back and did it again for the camera. 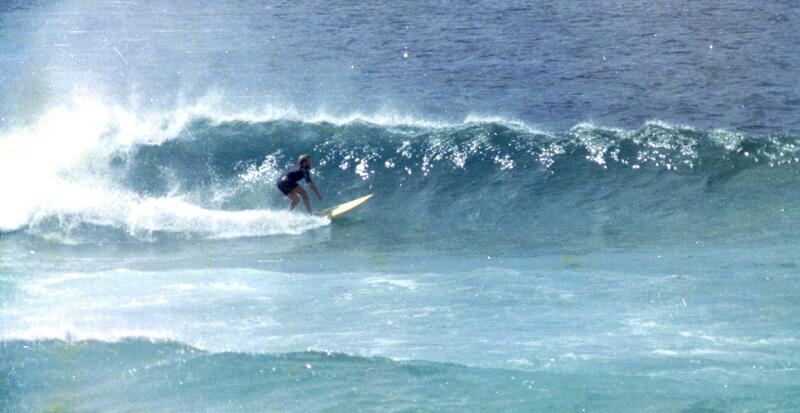 Ray Lunn stalls hard and then later gets a nice tube from behind the Redhead Shark Tower 1977. 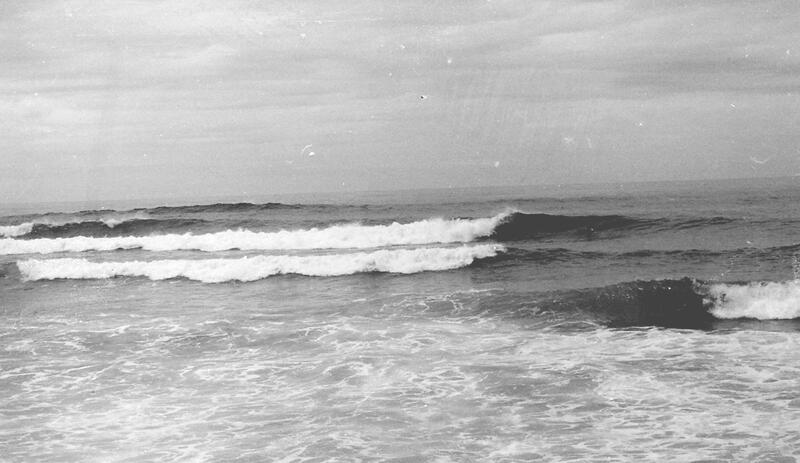 Not a bad surf for no one out. 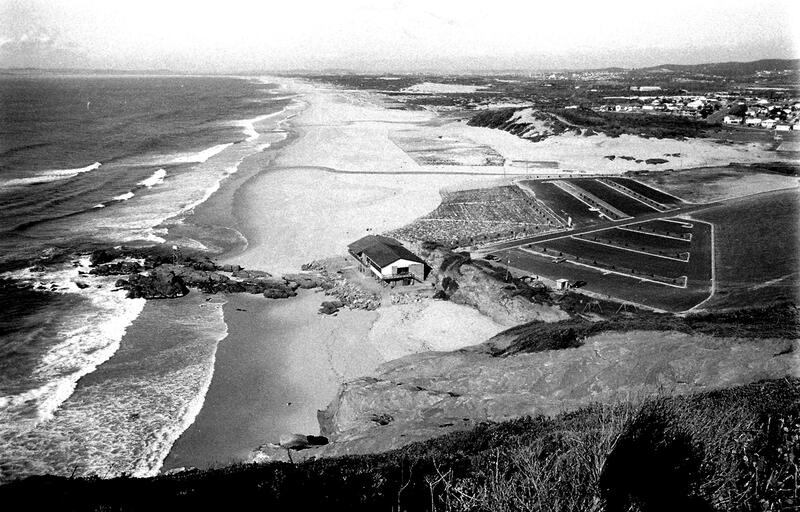 Redhead Little Beach 1978. 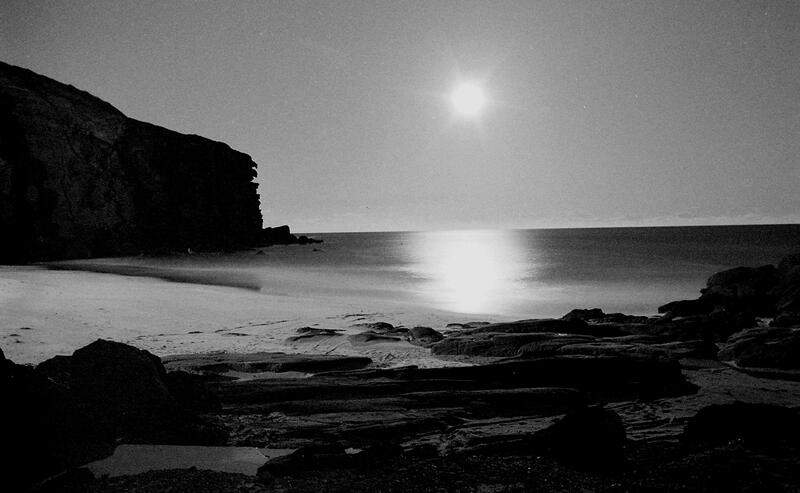 Redhead Beach by moonlight 1977. Even looks good in black & white. A 30 second time exposure. 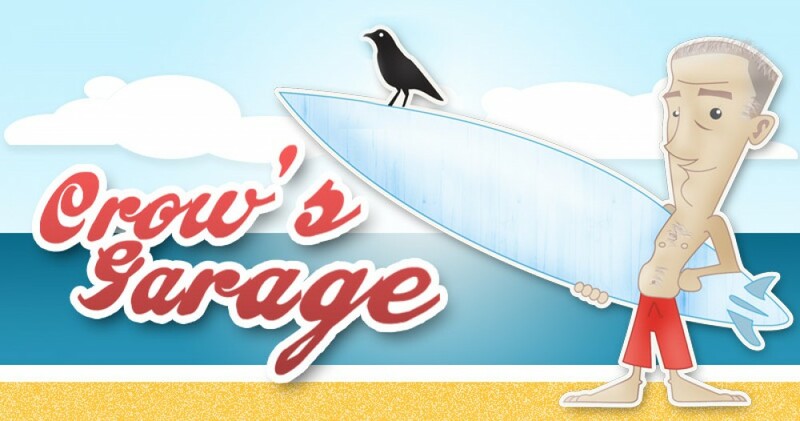 Bring back the chariot races and the pillow fights at Surf Carnivals! 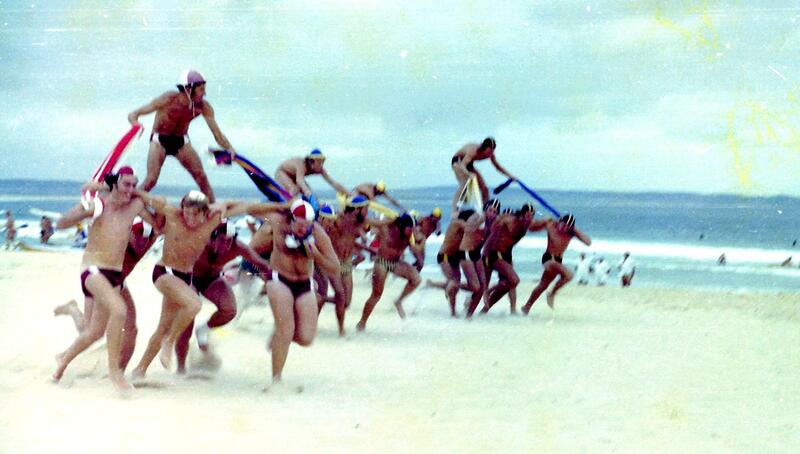 Newcastle region surf carnival Chariot Race at Blacksmiths around 1978, these teams look like they were having fun. We gave them the book, but it didnt seem to help much. 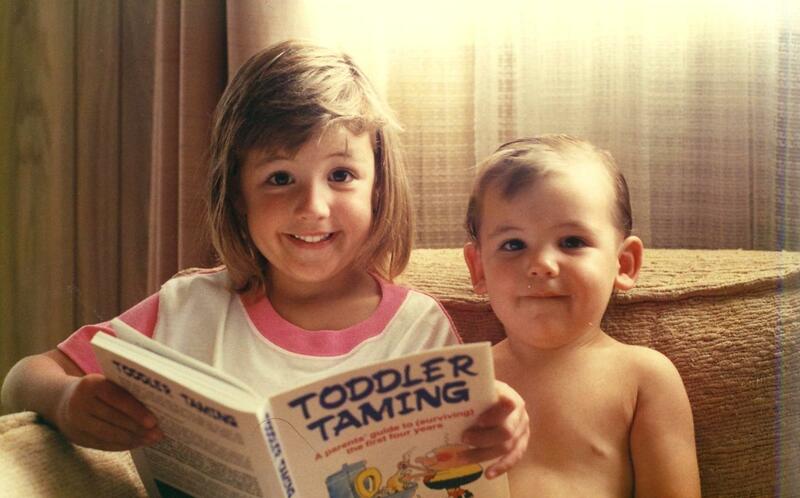 My daughter Ellen and son Sam seem to be taking the business of toddler taming a bit too lightly. 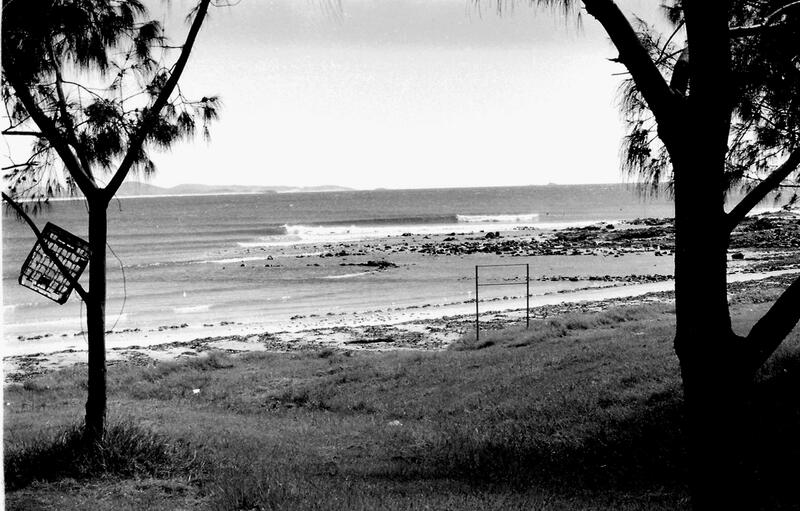 An uncrowded line up at Arrawarra around 1977. 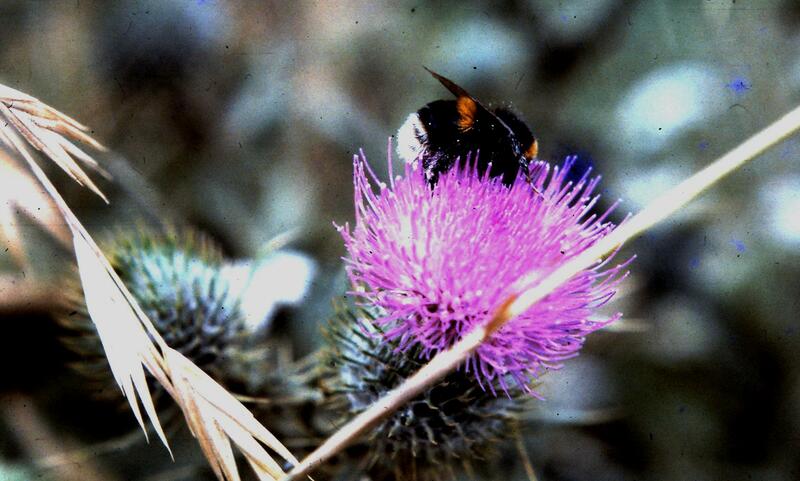 A bee on a flowering thistle plant close up make a nice combination of colours. 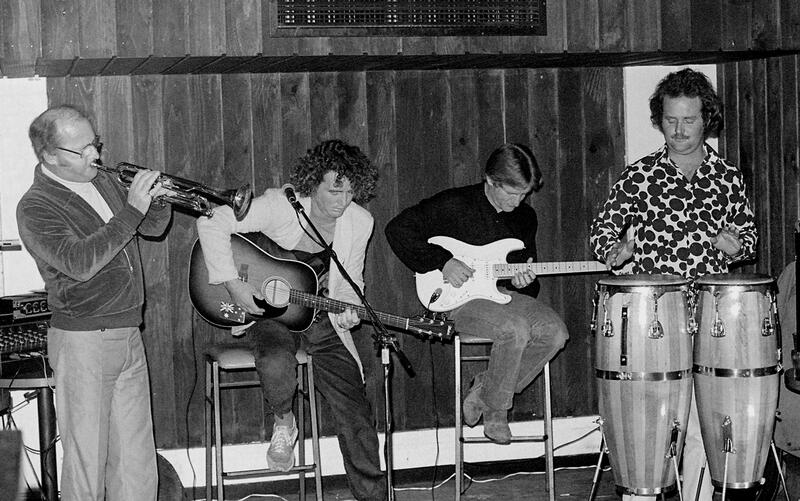 Blower & his Dad and band playing some super cool music at Belmont Yatch Club around 1978. This entry was posted in Beach, Music, Photos, Redhead, Scenery, Surf, Uncategorized by geoffcrow. Bookmark the permalink.